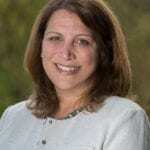 Home » Blog » TMOMs get real » Will Little Kids Remember Big Vacations? 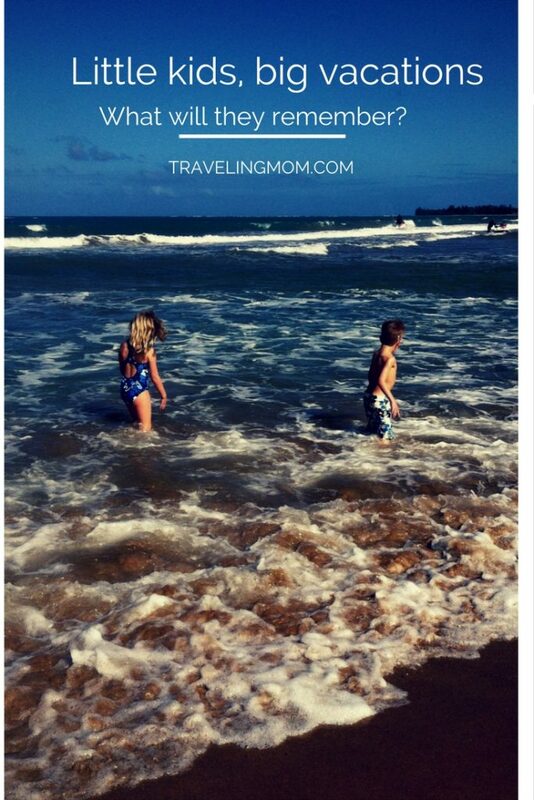 Photo by Jamie Bartosch/Suburban TravelingMom The kids enjoying the beach in Puerto Rico, which they don't remember. Will little kids remember big vacations? Probably not. And that’s OK. Just remember the story an 11-year-old girl told Oprah after she’d traveled the world with her dying mother. She said her favorite moments were not visiting the big places, like Disney or the Eiffel Tower. It was eating Cheerios together at 2 a.m. on the back porch. The kids enjoying the beach in Puerto Rico, which they don’t remember. A question asked often when considering a family vacation: “Will little kids remember?” What exactly do they remember? What do they forget? Is there a golden age when children start banking memories in their little minds? What is the best age? I stared back at him in horror. Was he right? Do my children get as much out of a trip to Wisconsin as they do from a trip to Belize? And why didn’t I think about this $5,000 ago? The kids were so excited, they misspelled Wisconsin. When I was a kid, my travel-loving parents schlepped us all over the world. Buried in my mom’s closet are albums filled with photos of our adventures. Some are Polaroids. We rode lifts to the top of Pikes Peak. Leaned against the pyramids in Egypt. Stood in front of Mt. Rushmore, wearing matching American flag ponchos my mom knitted for the occasion (so very 70s!). These old photos do trigger memories of those family vacations – they didn’t take many movies in those days. But sadly, most of it’s pretty fuzzy now. It’s the moments, not the places. What I remember are moments, not places. I don’t recall the coastal scenery during our drive down Highway 1, but I remember stopping at a Denny’s in Klamath Falls, Oregon, where the entire staff was named Carol. I don’t remember our historical site-filled “Spirit of ‘76″ bicentennial road trip, but I remember my little sister, out of boredom, mooning a passing car on I-76 (ah, the pre-car seat era). Are those the kinds of things my kids will remember from our expensive but interesting family vacations? Probably. I wholeheartedly believe travel teaches children (and adults) important lessons and values that can be hard to learn here in well-to-do suburbia. It teaches them to appreciate, or at least be accepting, of other cultures. They learn to place less emphasis on material possessions and to judge someone based on the kind of person they are. Perhaps most importantly, traveling has taught my kids that sometimes you have to go with the flow and try to make the best of a bad situation. Because things don’t always go as planned. (Flight cancellations teach that lesson real fast!) Now, isn’t that one of life’s most valuable lessons? When my kids watch videos of themselves on these trips, they seem to remember more about the experiences. Take just two words of advice from this blog: TAKE MORE VIDEOS. Even if you do, will they remember everything? Let’s be honest: probably not. Maybe, the reality is, I’m just taking these trips for myself. Maybe I want to go to Panama or Greece rather than to Kiddieland USA. So I convince myself that “it’s beneficial for the kids” in order to justify towing them along with us. I’m not super proud of this. 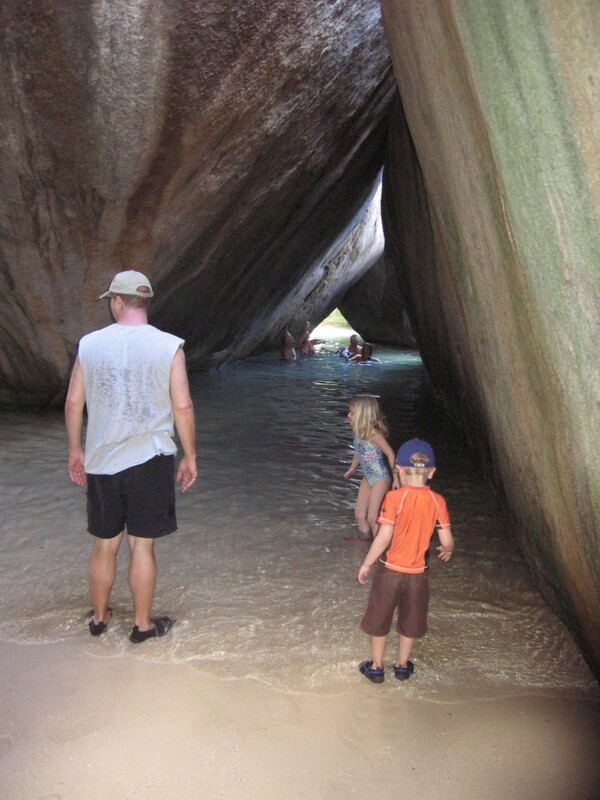 The kids play in The Baths on the Virgin Gorda beach in the British Virgin Islands. In 1997, Oprah did a show featuring a dying mother, who in an effort to make her final days with her kids special, trotted them all over the globe. They went to Paris and Disney and all of the places a kid would ever want to go. They had lots of fun. After the woman died, Oprah interviewed the kids and asked them about their favorite times with their mother. And you know what they said? It wasn’t the Magic Kingdom or the Eiffel Tower. It was the ordinary moments. The 11-year-old daughter said something that still makes me cry every time I think about it (or watch the clip). Her favorite moment with her mother was when they both woke up in the middle of the night and ate Cheerios together on the back porch. I think about this every time I plan a family trip now because when it comes to what little kids remember from big vacations, it is 100 percent true. While I’m not ready to completely concede to my brother-in-law’s “They won’t remember anything” theory, I will say that Wisconsin is starting to look better to me (and my checkbook). And I’m definitely going to pack Cheerios. Jamie, this post made me cry. I, too, wonder how often we travel for OURSELVES more than the kids but, like you, I think it’s important for them to experience the world, even if they won’t remember much of it since they are so young. It’s a great reminder that you could be in your backyard with your kids and what they’ll remember and appreciate the most is that they are with people who love them and genuinely want to be with them. Thanks for reminding us of what’s really important. I have been traveling with my family (husband and 5 and 6 years old girls) for the past 6 years, and I am still not sure is too much traveling good for kids, because kids like to have a routine, rhythm. I still find a lot of benefits from traveling: first of all spending time together as a family is the most valuable thing when it is about family travels. 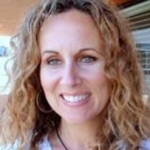 I am a travel blogger behind http://www.momthemuse.com, writing stories with humor, trying to see things from the new point of view. Jamie, I love this post. When I was 12 and my sister 6, our family drove cross country from VA to CA. I have many memories of the places we visited, but sis mainly remembers looking for the Holiday Inn signs so we could go swimming when we stopped. But I think that for both of us knowing our family took two weeks off to do something fun together is the best memory from that trip. Outstanding post! My husband and I are planning our very first vacations abroad with our kids, and we were having some second thoughts. Your post highlights the importance of traveling with your children and the importance of traveling for yourself. We though this through and we decided that even if they don’t remember everything about the trip, we will! Also, this is something that is going to make them very very happy, and is going to offer our family some quality time together and some incredible videos! I love the honesty of this post. I thought I would weigh in as an empty-nester. I raised 2 boys and I have to say that there is a lot lost in memory when they are young. I recommend keeping it less expensive when they are under 7 so that you can do it more frequently and then hit the bigger trips as they hit adolescence. The experiences of planning, packing, exploring, being forced out of your comfort zones, meeting new people and cultures can be found all over the US. This assumes that the primary purpose of your travels is to grow family memories. If you have the wherewithal and you as adults want to go to more exotic destinations then go. Why is it terrible to do something as a family that you want? As long as you are not dragging them to inappropriate places or parking them with a sitter why not go where you want. A family is a shared unit and it is valuable for children to learn how to share entertainment time. ie “You (kids) chose Disney last year, we (adults) choose Spain this year”. They learn to share, they learn the value of new knowledge and you all learn to have fun together wherever you are. Those are the important memories created from travel. I stand by my motto: GO ANYWAY. Plant the seeds. Some sprout some don’t. What the kids do remember is a FEELING they got when they traveled. Mine love the not-so-perfect trips and remember those more than they do the trips of a lifetime.